Bits of Sweetness: PNW Swaps: First box swap!! PNW Swaps: First box swap!! To those of you who missed the first box swap: It was amazing! Hurry yourself over to the sign ups for the next one here! Please tell me you're in!! If you love all things magical and Christmas and hot cocoa with perfect marshmallows and bits of peppermint and fuzzy socks and Sinatra, you'll want to be part of this! magic of Christmas anyone?! Let's celebrate it!!) So maybe it is still November. But maybe I like to get my celebrating on early! Yeah ho! Also: the limit for this one is $20 to encourage the Christmas love and all! I was pretty excited about this swap. My sweet friend Melody ended up being randomly matched to me! I think I squealed a little getting her package in the mail. It was beyond thoughtful! The headband even has sparkles! The notepad has a favorite verse. The owl necklace is beautiful and- owls!!!!! Need I say more?! The socks are cozy and cute! Ahh thank you Melody!! Adrian is already in love with the owl necklace and can be found saying, "Who! who!" anytime I have it on! you'll never know where you can go if you don't! Fellow #PNWSwaps friends- I would love to see your posts!! Feel free to linkup below! 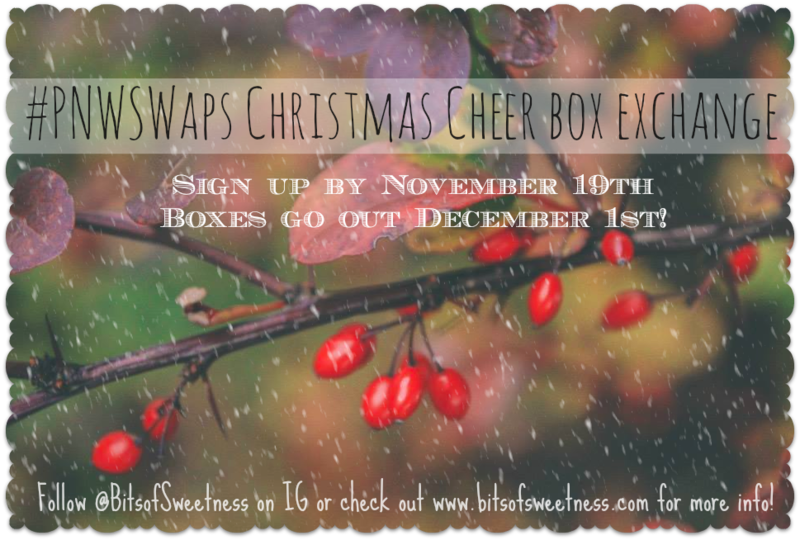 And, again, signups for the December boxes are here! I couldn't be happier about this post! I SO enjoyed doing this swap and am very happy that you liked the stuff I picked out! It was a lot of fun! :) I cannot wait to do it again!